Nursing home abuse is a serious problem in San Diego. For a number of years, elder safety advocates have been looking for new ways to prevent nursing home abuse, as well as to properly identify it when it does happen. According to a recent article from USC News, “doctors, first responders, and other health care professionals can use techniques inspired by law enforcement to better identify and address cases of elder abuse.” This new methodology for detecting nursing home neglect arose from a clinical study at USC’s Leonard Davis School of Gerontology. The authors of the study looked at two different potential elder abuse cases that, on the surface, seemed to be very similar. Both cases involved an older adult who “arrived at the emergency department in very poor health with signs of neglect, including severe malnutrition, skin ulcers, and other physical problems.” In both cases, the caregivers—both cases involved caregivers who were adult children of the elderly patients—wanted to take their parent home to continue in the caregiving role. Although both situations seemed very similar, taking a “forensic lens,” or using a law enforcement-style methodology, allowed the researchers to demonstrate the differences between the cases. 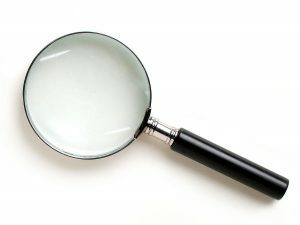 Non-accusatory interviews are among the first techniques involved in using a forensic lens to consider elder abuse and neglect cases. As the article explains, conducting an interview with a patient’s caregivers—whether the caregivers are family members in an at-home setting or caregivers in a skilled nursing facility—can provide a lot of useful information. Asking questions about a patient’s living conditions and medical history can help to make clear whether an elderly patient is receiving the type of care she or he needs. Examining healthcare records alongside interview, too, can be telling. For patients who are living at home, the authors of the study recommend at-home interviews to assess a patient’s living conditions. The authors of the study also discuss methods for analyzing the “frequency and history of health care visits.” This type of investigation can help to show whether the patient is receiving medical care on a regular basis. For patients who exhibit symptoms of neglect and also have a limited medical history, first responders should, perhaps, look more closely into the possibility of nursing home neglect. These strategies can be particularly helpful when investigators have a large number of cases that require immediate attention. If you have concerns about elder abuse or neglect, an experienced nursing home abuse lawyer in San Diego can help. Contact the Walton Law Firm today for more information.